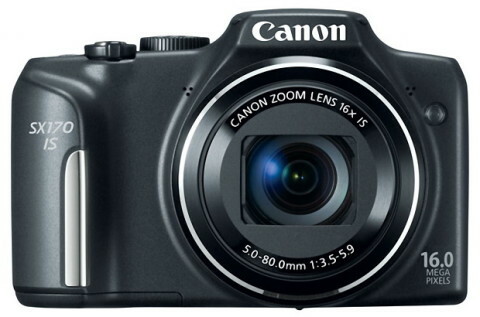 The Canon PowerShot SX170 IS is a compact superzoom digital camera that offers a long zoom in a compact camera body at an affordable price. With a metal body and a small hand grip, the SX170 is small enough to carry in a pocket. The SX170 IS replaces the SX160 IS which was very popular unit with casual shooters and generalist photographers thanks to its compact body. 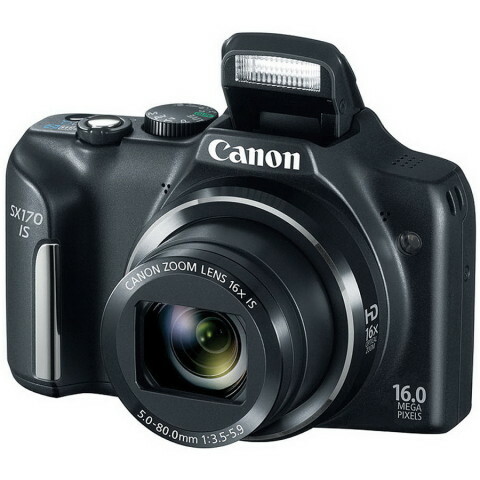 The Canon PowerShot SX170 comes with a 16 megapixel 1/2.3″ CCD sensor and with DIGIC4 image processor that work together to produce high-resolution, well detailed images and HD 720p video recording (with stereo sound). The image processor also provides reduced noise level. The SX170 IS also features a built-in Canon 16x optical zoom lens that provides a 35 mm-equivalent focal length range of 28-448 mm. This lens covers wide-angle to telephoto lengths for shooting in a wide variety of conditions. An Intelligent IS image stabilization is also available and offers six uniques stabilization modes. A large 3.0″ 230k-dot LCD monitor is also present on this compact camera. This display has a wide viewing and it is bright enough to support use in bright conditions. An Intelligent Smart Auto mode is also present on this camera and it allows selecting one of the 32 pre-defined shooting situations. 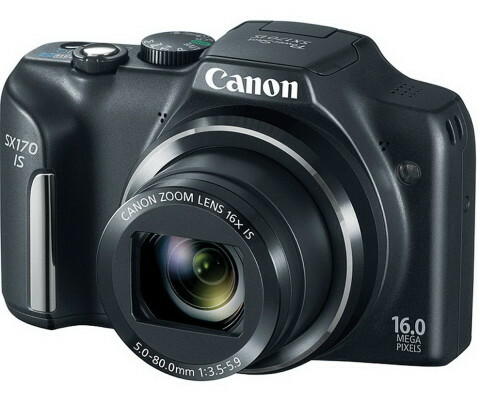 The Canon PowerShot SX170 is available in black or red. For a point and shoot, the PowerShot SX170 certainly offers a fair amount for your money. The full manual shooting will definitely appeal to users who are frustrated with not being able to tweak their shooting settings, while the auto mode with its ability to select from 32 different scenes will help to put novice users at ease that whatever situation they’re shooting in, the SX170 can probably handle it. 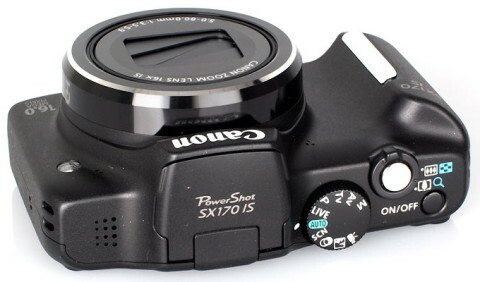 The Canon PowerShot SX170 IS’ build and performance is acceptable given its asking price, so those who have little to spend will find equally little to complain about. Though picture quality is a little so-so for our tastes, at least the camera looks good and feels good in the palm, which at this currently contracting budget end of the market actually counts for quite a lot. 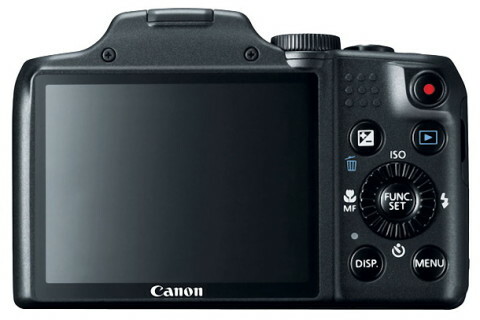 Another short Canon SX170 review comes from ephotozine.com website. On this website you can see also a lot of sample photos made with different settings in various conditions.